The project “Ecological observatory” will be presented at the Velykoanadolskyi forest museum (Grafske town in Donetsk region, Graff str. 7) on February 19 at 12:00. 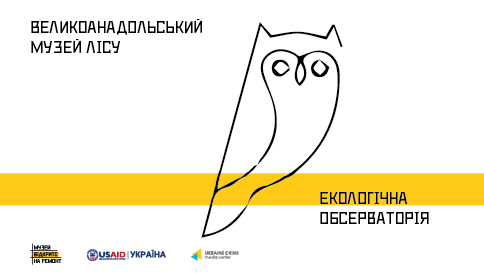 “Ecological observatory” is implemented in the framework of the project “Under construction: Museum open III” run by Ukraine Crisis Media Center with the support of the United States Agency for International Development (USAID). “Ecological observatory” is an environmental educational project. Its primary goal is to form a new environmental culture with the young of the region. The project’s main idea is to create a space where school and college students will be environmentally educated by means of games. Project events are to be held regularly, the project thus expects to engage all schools and colleges of the district. The event will last a few hours. It will include six museum locations. Participants will be explained renewable energy sources and waste sorting, get to know the flora and fauna of the region, their creative skills will be enhanced. Event participants: students of the school in Blahodatne. For additional information please contact:Oleksandr Sencha at 095 4041267 and vml.ua@ukr.net or Olha Honchar, PR consultant at the “Under construction: Museum open” project at +38 093 339 76 46.